Wednesday through Monday, 11:30 a.m.-9 p.m. If you're looking for creative burger or oyster dishes, look no further than Two Roads Tavern. Named after the two roads that span the Outer Banks, owners Kyle Forbes, BJ Austin and Mark Ballog have looked to create an environment that welcomes parties of all shapes and sizes while serving up some of the best burgers and oysters on the Outer Banks. Everything on the menu is made from scratch, including the sauces and dressings. Want to watch the game? We've got 20 TVs in our dining room and bar and carry all of the major sports packages, including the NFL, SEC, Big Ten, Golf Channel, and more! Stop by our bar for inventive cocktails, wines and 10 craft beers on tap. 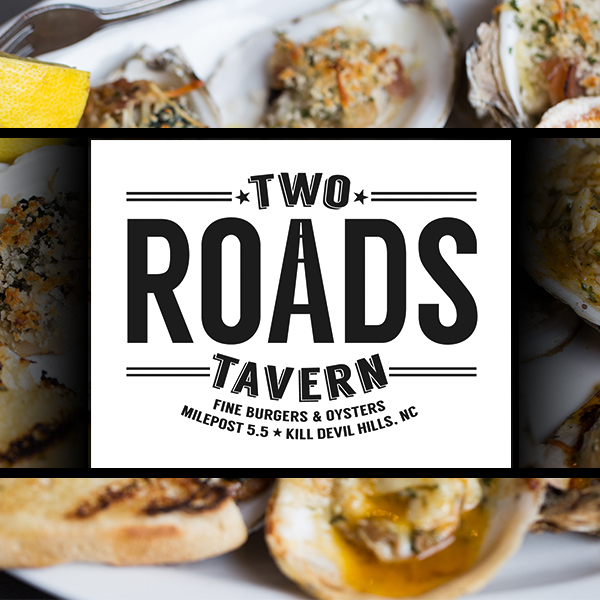 Two Roads Tavern Burger and Oyster Bar Outer Banks, is located in Kill Devil Hills, NC, in the Seagate North Plaza at Mile Post 5.5.